Sailing The Great Escape – A SAILING TRAVEL BLOG | Sailing the Keys, Bahamas, Caribbian and beyond. 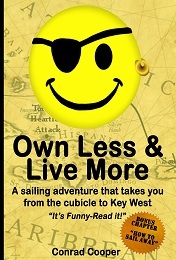 Sailing the Keys, Bahamas, Caribbian and beyond. Sorry for the loooooonnng delay in posting. After we purchased our new boat, we weren’t sure if we wanted to continue blogging. But in the end we have found that blogging turns out to be a great scrapbook of our trip for us. So we have decided to quit being lazy and get our new blog going. Our new blog is called Life of Latitude (Latitude is the name of our new boat) and you can visit our blog at: www.LifeofLatitude.com.